NorthCoast 99 winners proudly use the award as a badge of honor for their workplace and their organization. 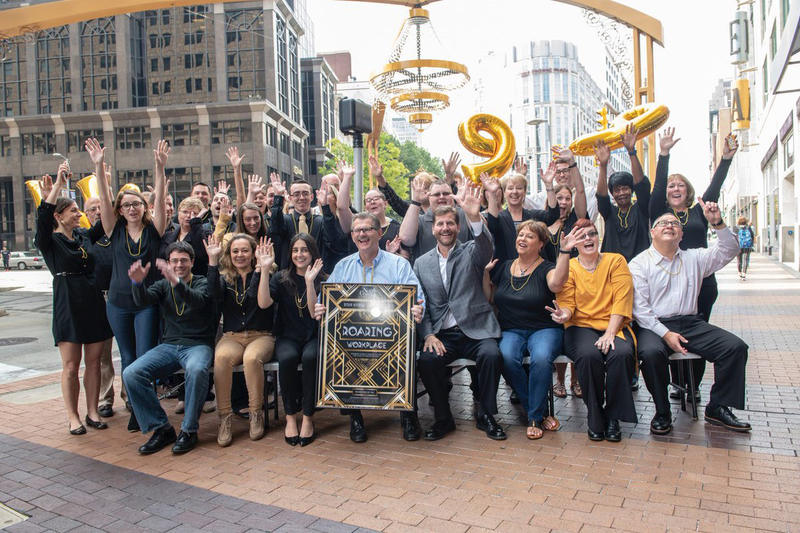 By promoting your organization as one of the 99 great workplaces for top talent in Northeast Ohio, you have a competitive edge in recruiting and retaining top talent to your organization. We've put together a complete NorthCoast 99 Branding Kit that will allow you to leverage your NorthCoast 99 award. The kit includes logos, graphics and language to use in any of the following ways. Enter your contact information to download the entire 2018 branding kit full of logos, social media images, a video, and more. What exposure comes with winning? "NorthCoast 99 is a tool for recruitment and retention. Great employees want to work at great workplaces and being a NorthCoast 99 Winner leads them to us and reinforces their decision to be employed at our organization." You're a NorthCoast 99 winner! Now it's time to share the significance of this award internally with your employees. Embed the video on your intranet or share the link in an inter-office email. Using this video on your company intranet is a great way to explain the NorthCoast 99 award to your employees. Share this video by using this link: https://yourerc.wistia.com/medias/ib4db65cdc. At Barnes Wendling CPAs, we value our team, clients, and community. We are proud to have recently celebrated over 70 years of serving privately-held businesses in Northern Ohio from our three offices in Cleveland (Headquarters), Sheffield Village, and Sandusky. We are driven by our client service objective of building and maintaining our clients’ net worth. We welcome the opportunity to add top performers to our team! Successful team members share our values, are innovative and collaborative, and have a strong commitment to providing outstanding client service. We have grown substantially through the years and take pride in our culture and positive work environment. From gracious summer hours to paid parking, we prioritize our employees’ needs and reward them with deserving benefits throughout the year for their hard work. How do I connect with other winners?